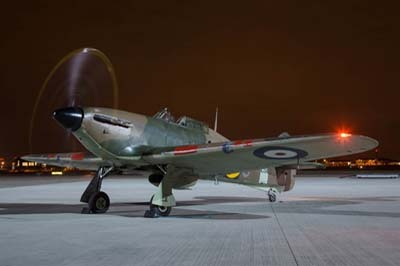 Phillip Dawe while raising funds for the restoration of Northolt's Battle of Britain Sector Operations Building (Building 27) has produced another very succesful night photo shoot. 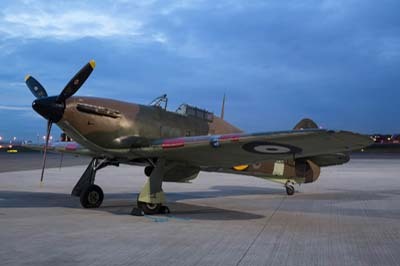 What is remarkable is that despite it being the 14th event in the series Phillip has found some subject aircraft that have not been seen at Northolt previously. 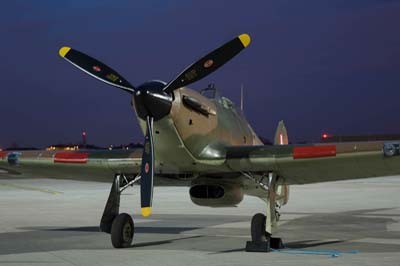 First time visitor the Swedish Air Force Saberliner for me was the star of the show, close behind was the Hawker Hurricane XIIa (Z5140 registered as G-HURI) with the Historic Aircraft Collection based at Duxford, a fine replacement for the promised Spitfire which had developed engine fault. 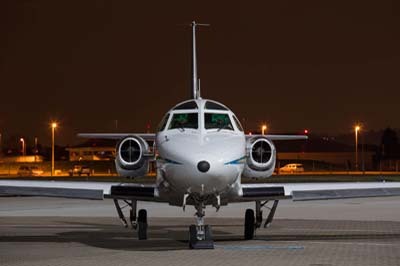 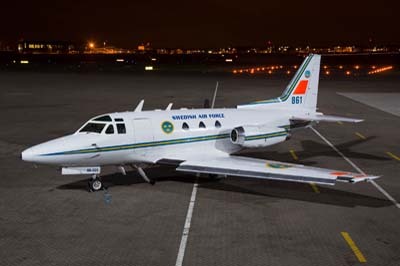 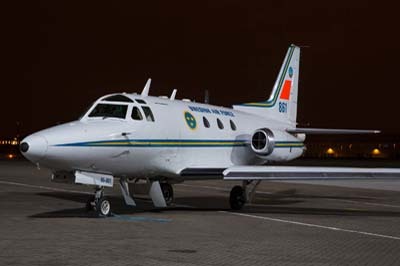 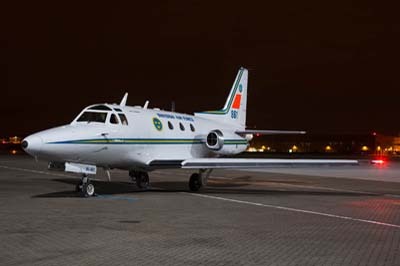 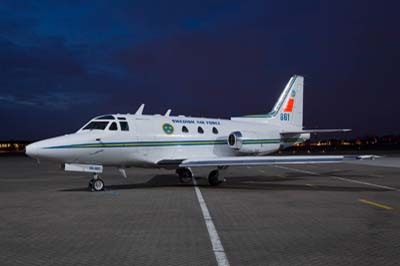 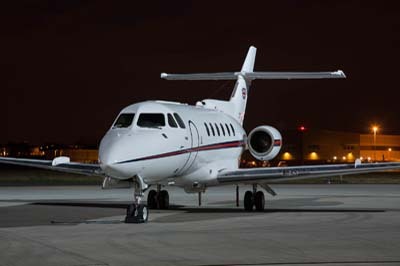 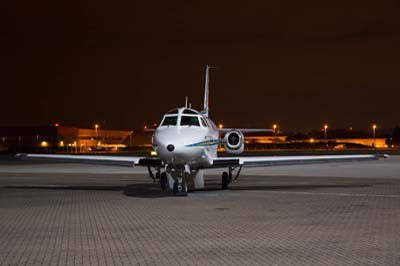 The Tp86 Sabreliner operated by the Swedish Air Force Flight Test Centre at Malmen air base is normally fitted with twin four meter long antenna booms mounted under and protruding forwards of the nose known as the CARABAS (Coherent All Radio Band System) VHF Synthetic Aperture Radar system. 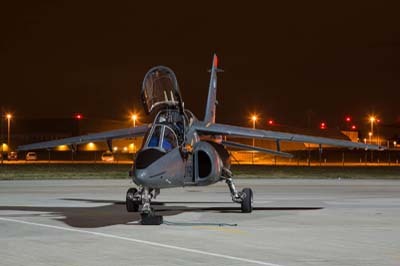 This system currently being trialed is designed to detect vehicles and IEDs (Improvised Explosive Devices) through dense woodland. 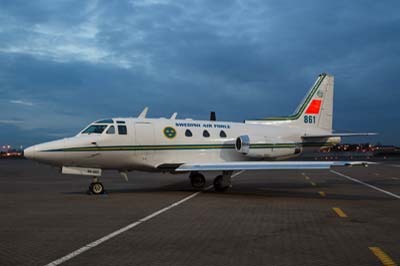 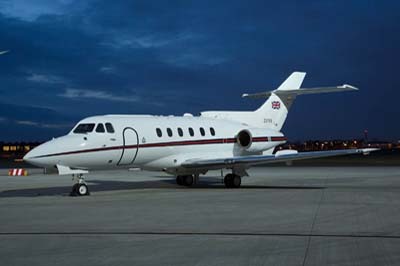 The aircraft operates normally at an altitude 8,000 feet at a speed of 246 knots according to the pilot who was on hand to explain his mission. 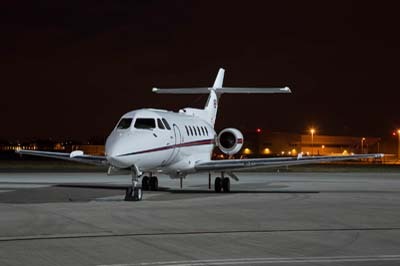 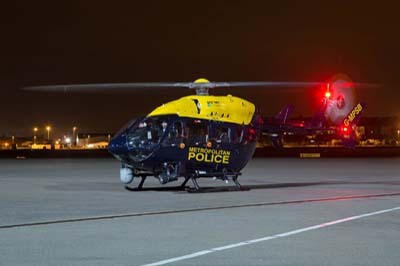 The antenna he said was removed to improve handling for the flight to Northolt. 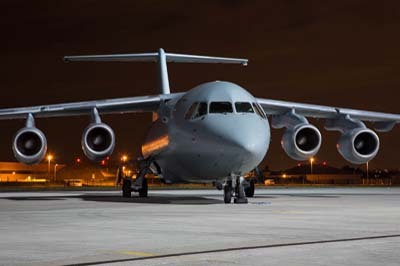 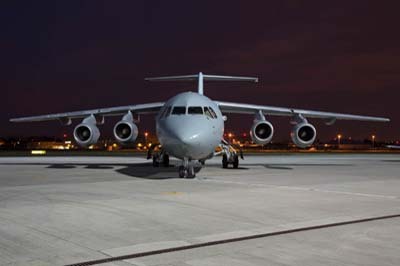 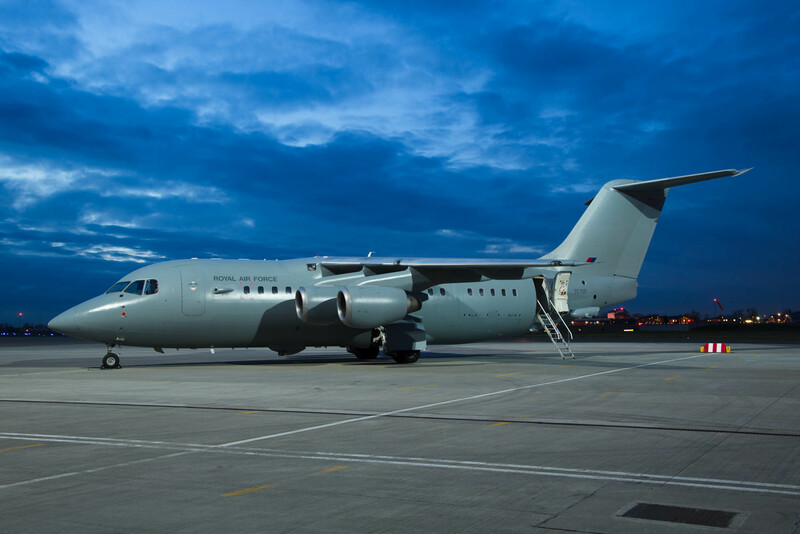 A third debutant was the RAF's latest procurement a former TNT Airways BAE-146 which was purchased urgently to fulfil a gap in capability in Afghanistan and 'Operation Herrick', it is one of two jets assigned to 32 Squadron. 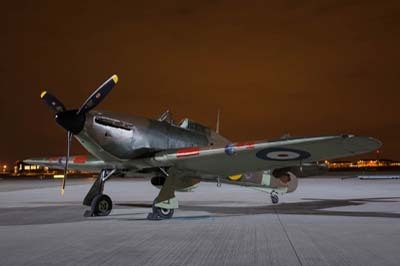 For the full story of the event see my article written for Aviation News in 2012. 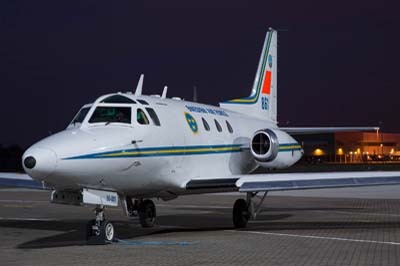 North American (NA-265-60) Tp86 Sabreliner 40 (86-001 callsign 'Swedish 861') of the Swedish Air Force Flight Test Centre at Malmen air base at Linköping near Stockholm. 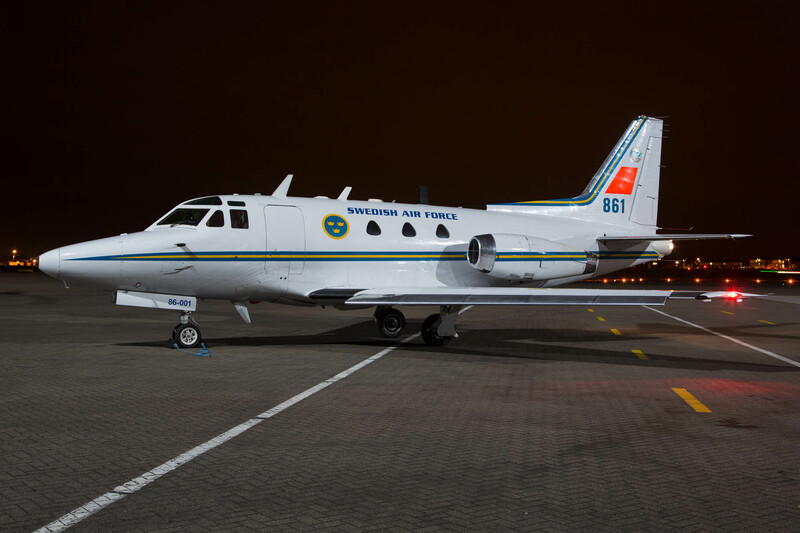 Left to right: Swedish Air Force Tp86 Sabreliner (86-001). 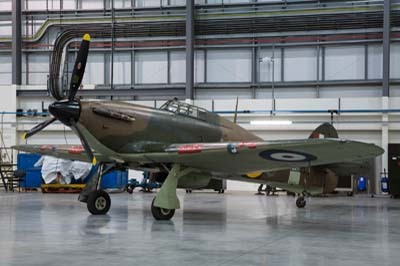 Hawker Hurricane XIIa (Z5140 registered as G-HURI) with the Historic Aircraft Collection based at Duxford. 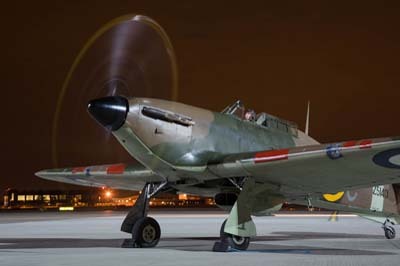 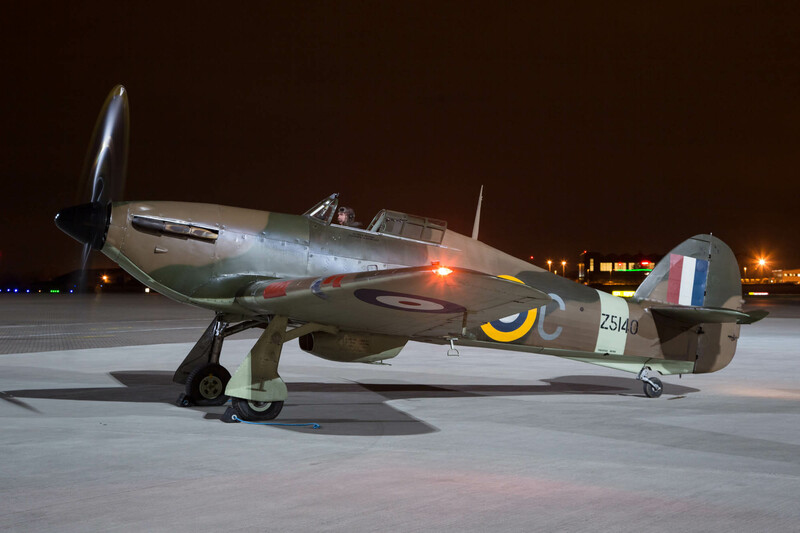 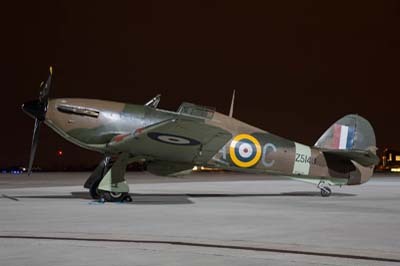 Left to right: Hawker Hurricane XIIa (Z5140 registered as G-HURI). 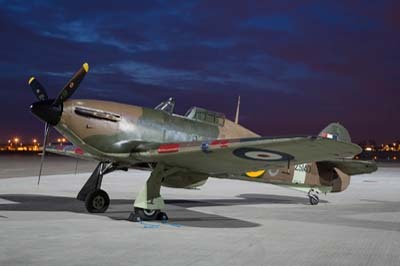 Left to right: Hawker Hurricane XIIa (Z5140 registered as G-HURI) pilot Charlie Brown started her up for the photographers. 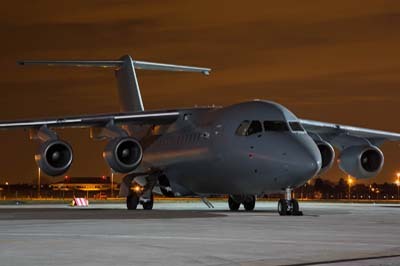 BAE 146 C.3 (ZE707) of 32(TR) Squadron. 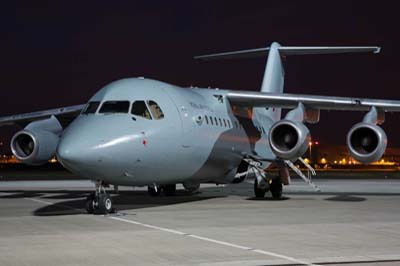 Left to right: BAE 146 C.3 (ZE707) of 32(TR) Squadron. 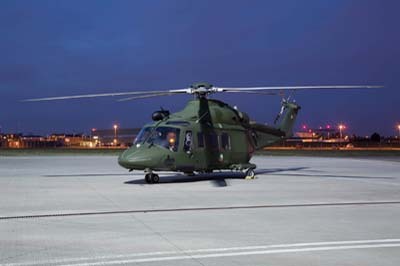 Agusta-Westland AW-139 (277) of 301 Squadron Irish Air Corps based at Casement Aerodrome (Baldonnel) near Dublin. 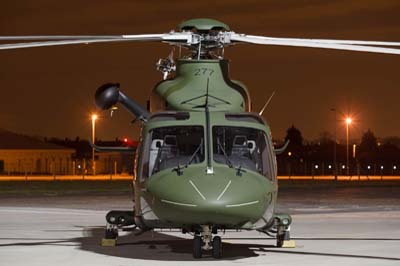 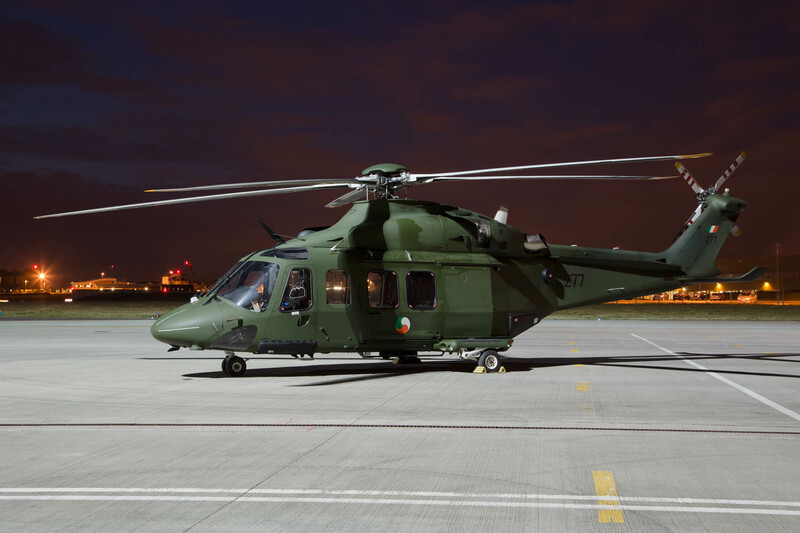 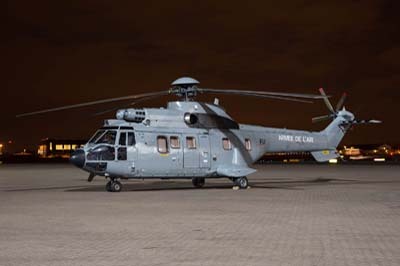 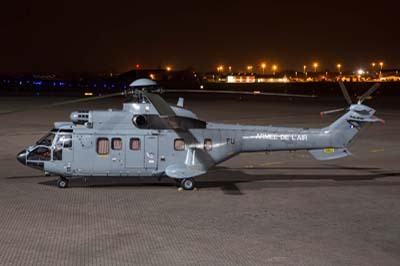 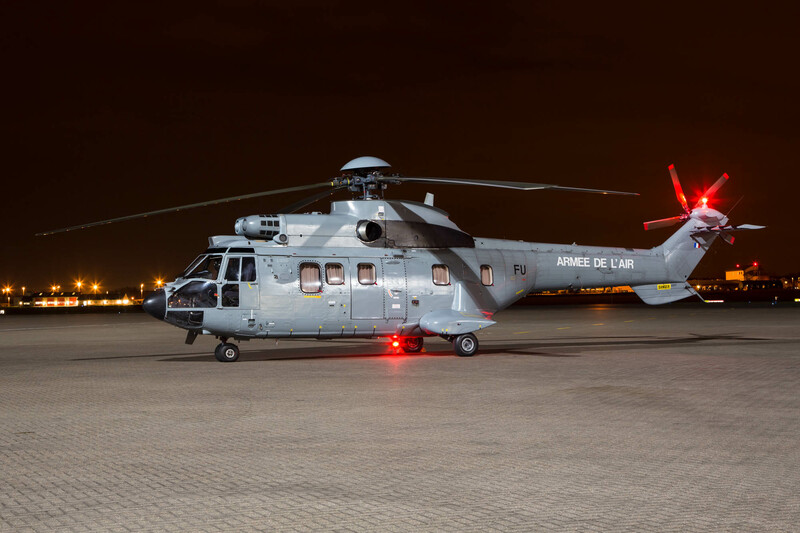 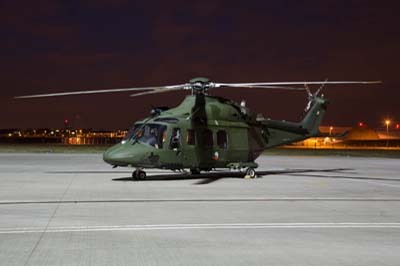 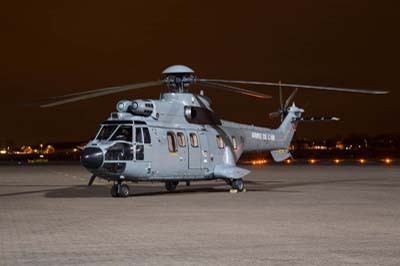 Left to right: AW-139 (277) of Irish Air Corps. 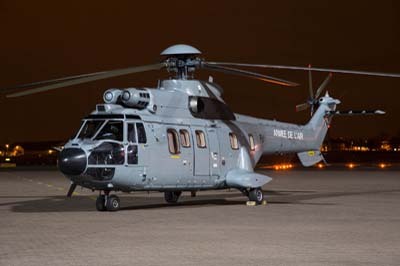 Armée de l'Air Eurocopter AS.332M Super Puma (2377 'FU') of EH.03.067 'Parisis' from Villicoublay. 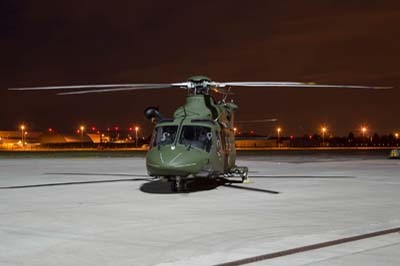 Left to right: AS.332M Super Puma (2377 'FU') of Armée de l'Air EH.03.067 'Parisis' from Villicoublay. 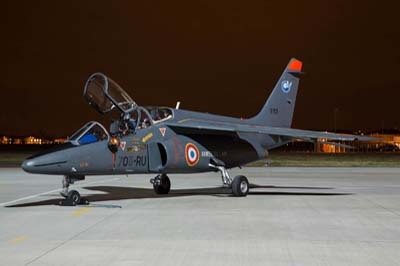 Armée de l'Air Dassault-Dornier Alpha Jet (E153 '705-RU') of the Advanced Jet Training School (AJeTS) EAC 00.314 from Tours-St.Symphorien (BA 705). 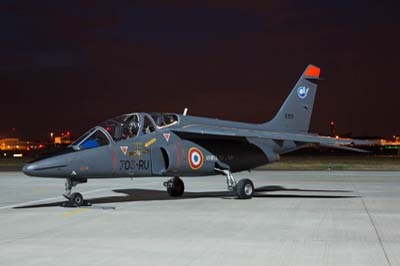 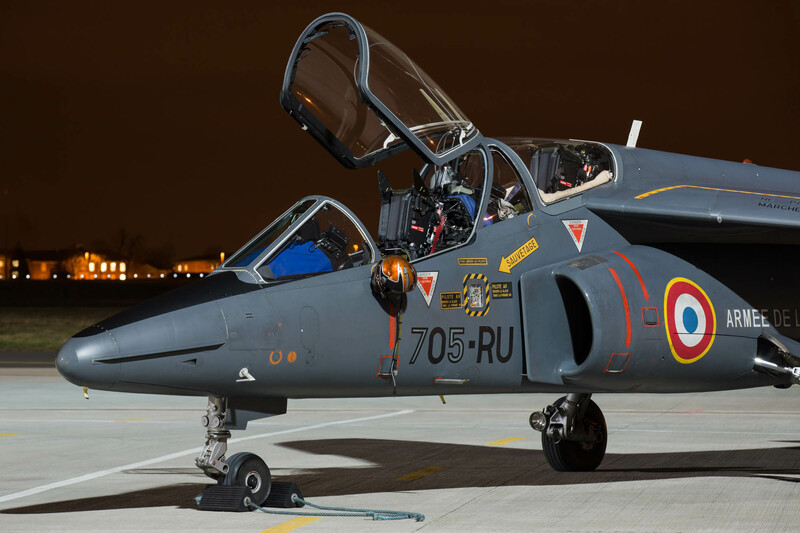 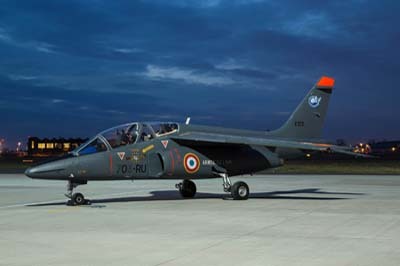 Left to right: Armée de l'Air Dassault-Dornier Alpha Jet (E153 '705-RU') of the Advanced Jet Training School (AJeTS) EAC 00.314 from Tours-St.Symphorien (BA 705). 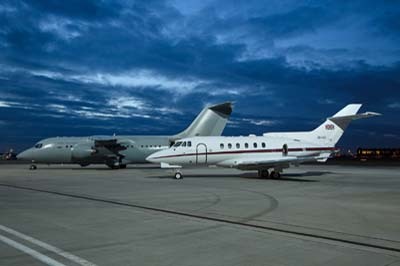 Left to right: BAE 125 CC.2 (ZD703) of 32(TR) Squadron. 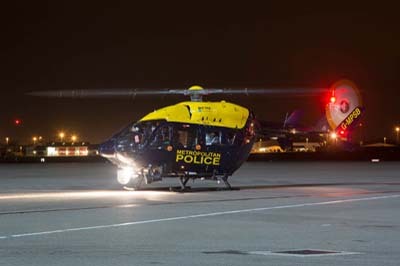 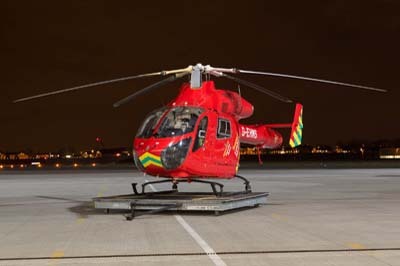 Left to right: EC-145C-2 (G-MPSB) of the Metropolitan Police Air Support Unit and MD-902 (G-EHMS) operated by the London HEMS Air Ambulance.